Researchers now know what causes two of the most common hair problems associated with aging. Finding a cure or treatment might not be far behind. It’s one of those times when serendipity went to work. As a team of UT Southwestern Medical Center researchers were studying a rare form of genetic cancer called Neurofibromatosis Type 1 that causes tumors to grow on nerves, what they discovered instead were ‘hair progenitor cells’. Essentially, these are the cells that cause hair to grow. With this new information on hand, the path towards managing hair growth problems, including hair discoloration (a.k.a greying of hair) now seems to have become clearer. Prior to this discovery, researchers were already aware that skin stem cells located in the bulge on bottom of hair follicles were involved, in one way or another, in the growth of hair. What they didn’t know was how these skin cells turn into hair cells, specifically, what happens after those cells move down to the bulb or the base of hair follicles. This also meant they had no idea what to do to stimulate and manipulate their growth. As they were studying the nerve cells and how tumors formed on them, they discovered a protein that differentiates the skin stem cells from other types of cells. The protein is called KROX20 and as far as they knew, this protein was more commonly associated with nerve development. In the hair follicles of their mice test subjects, however, they found out that KROX20 becomes activated in the skin cells which eventually turn into hair shafts that cause hair to grow. That said, though, it’s not as simple as that. It turned out that KROX20 works in tandem with another protein called SCF (short for stem cell factor) and without either one, hair growth happens abnormally, or not at all. When KROX20 turns on in a skin cell, it causes the cell to produce SCF. With both proteins now active, they move up the hair bulb, interact with melanocyte cells (the cells that produce pigment), and grow into healthy, colored hairs. When the team removed the KROX20-producing cells, the mice did not grow any hair, meaning, they became bald. And when they removed the SCF gene, the mice’s hair started out as gray-colored, then turned white with age. From these results, the obvious way forward is to backtrack what’s happening, possibly try to figure out why and how aging affects KROX20 protein production. Another aspect that will also be looked at is the reason why the SCF gene stops functioning, thereby resulting in gray hair production. 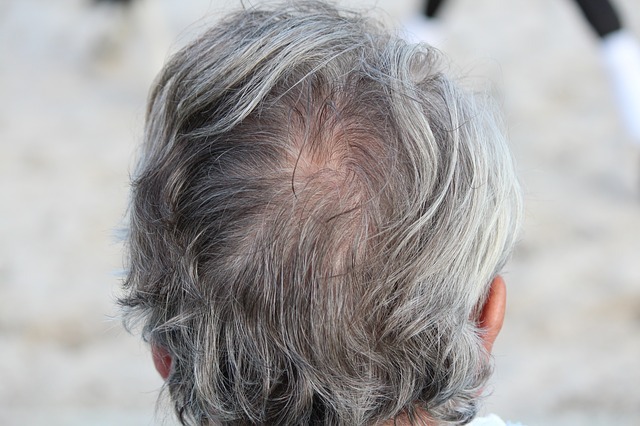 The findings could also help provide answers on why hair loss and graying of hair are among the first indications of aging. The research was recently published in the journal Genes & Development.